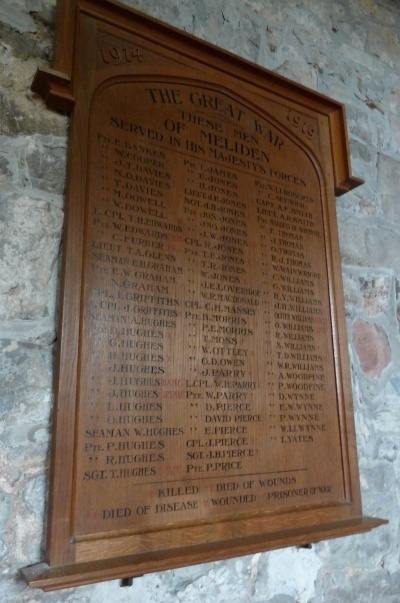 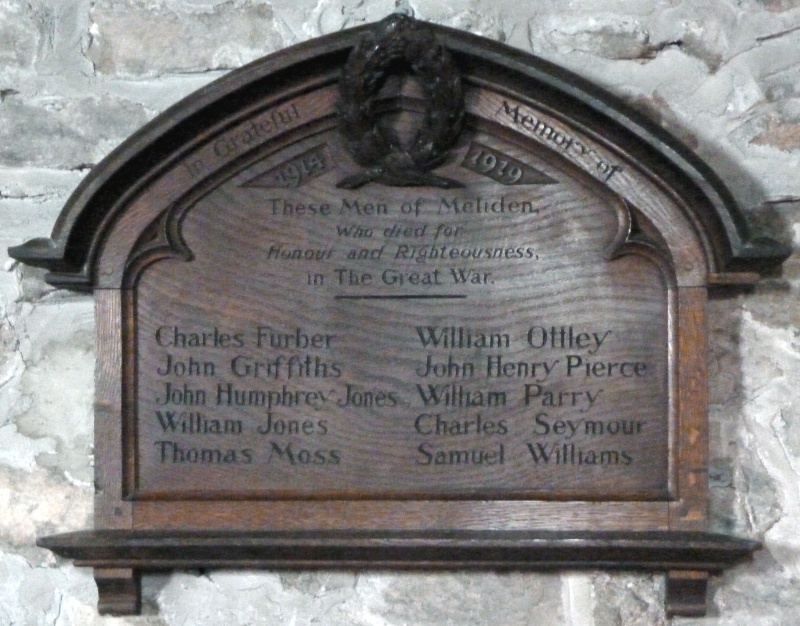 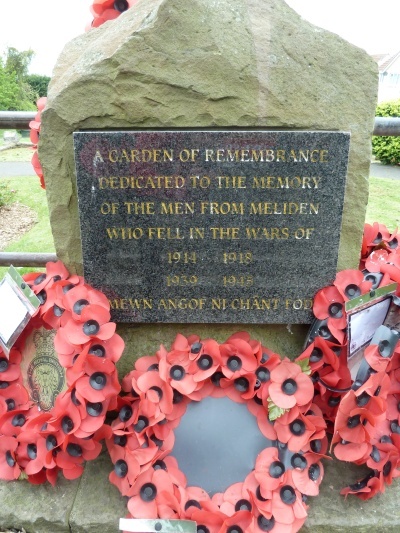 There are three plaques within the Church of St Melyd – an early wooden one, showing the names of the soldiers who died in WWI; a later marble plaque showing the names from both wars, and a large wooden Roll of Honour, complete with a handwritten key showing how the men died. 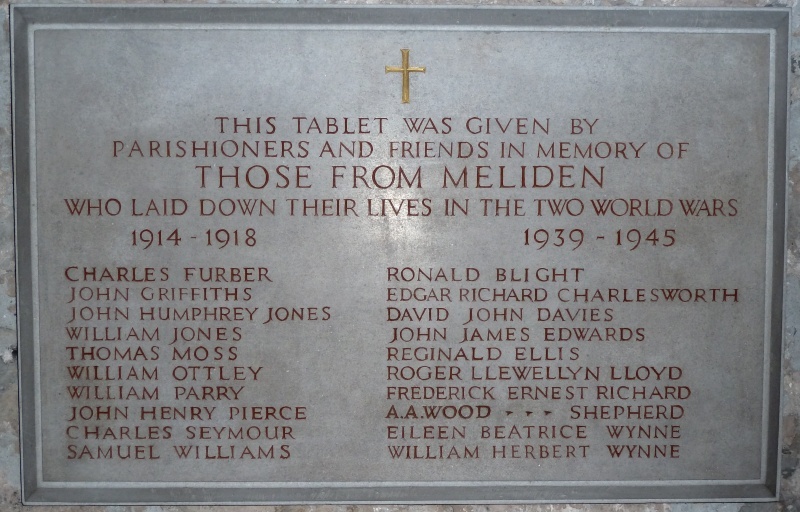 There is also a memorial stone at the entrance of a Garden of Remembrance. 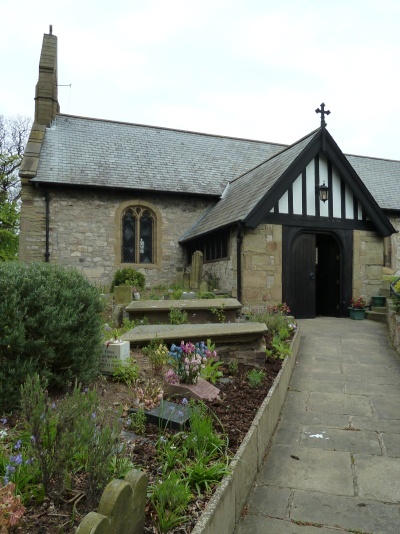 It is a beautiful, very old, church – more can be read of it’s history here.